We did it, thanks to you! 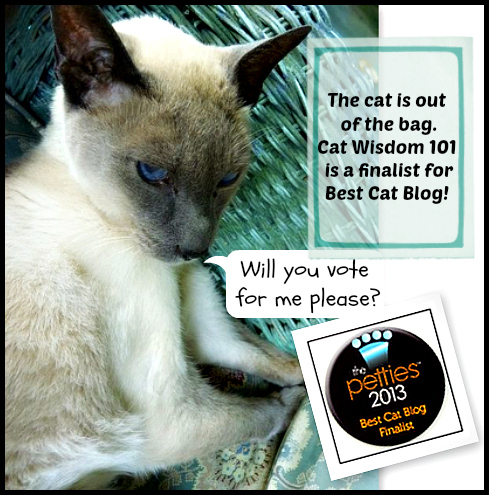 Cat Wisdom 101 is a Pettie Awards Finalist for Best Cat Blog. Thank-you to our loyal friends and readers who voted tirelessly. We’re in wonderful company with many friends and fellow bloggers you may know. To see all the finalists and categories, please visit Pettie Awards to vote for your favorites and us, we hope! Voting goes on until July 31 and every time you vote you can nominate someone for the Unsung Hero Award. If you know someone who volunteers above and beyond for shelters and rescue organizations in their area, they can receive a personalized Petties trophy and a $10,000 donation to the shelter or rescue organization of his or her choice. The Saturday Photo Hunt theme is “Go” and the only thing we can think of is to “go” and vote for us, and thank-you for loving cats! Not only did mes NOMINATE yous…but me has been voting for yous guys! Congratulations on your nomination and good luck! Concatulations! I have voted for you. Yours is the best, with needed info, great pics of the kittes, great new design that’s simply wonderful. So happy for you! Hope to have a big group voting for you too! Congrats on recognition for your well written and informative blog, Layla! I was very happy to vote for you. I also love the Petties because I learn about quality blogs I haven’t discovered yet every year. I was honored to have one of the winning tweets when they had a category for two best tweets during the ceremony. The best part was being part of a donation to a wonderful shelter! Fantastic news – congratulations, Layla!! Congratulations on being names a Finalist On The Pettie Awards!! Con-cat-ulations, Layla, and best of luck–even though we are in the same cat-egory, cats in need will win no matter which of us wins! What wonderful news for you all at Cat Wisdom 101!! 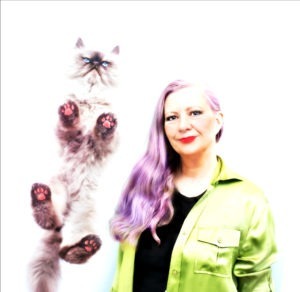 We are thrilled for your nomination – you have such an excellent blog and we are so happy be be your friends!! Best of luck! Congratulations! A well deserved nomination- and I’ve already voted for you today. Congrats. I voted for you and my other favorites. Congrats on the terrific nomination! We’ve already voted for you in this 24 hour period! MEW MEW MEW what great news!!!!! Concats! Congratulations on being a finalist,and good luck! We voted for you and wish you the BEST of luck! Just cast my vote – good luck! I’ve voted – good luck! have a wonderful weekend. YAY! 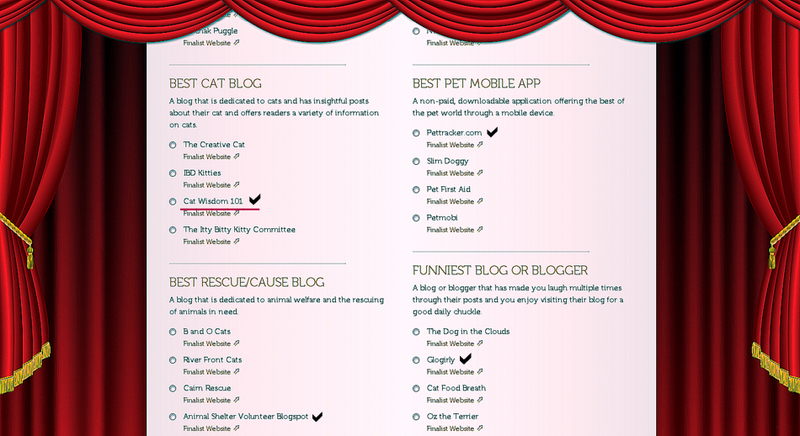 Congrats on being a finalist….we of course have been casting our votes for you and paws are crossed that you WIN! WOO WOO!! Concatulations on being a finalist! YAY for that your in the finals in Pettie Award !! Congrats on being named a finalist!!! That’s SO cool!